International Symposium 2017 - Will extracellular vesicles replace stem cells as thera[eutic agents? REPLACE STEM CELLS AS THERAPEUTIC AGENTS? It is our pleasure to invite you to the International Symposium “Will Extracellular Vesicles Replace Stem Cells as Therapeutic Agents?” held on September 28th, 2017 in Warsaw. The program of the symposium is an exciting combination of basic science and clinical transplantation of somatic stem cells and their derivatives in different pathological conditions. We believe that this symposium will provide a cutting-edge educational and scientific experience focused on the latest development in the field of microvesicle and exosome research. We are aware that obtaining and citing data of applications of extracellular vesicles is just a starting point but we believe that the attendance of leading experts from internationally renowned scientific institutes and hospitals initiates a truly global and multi-perspective debate on important issues. We trust that this symposium – gathering scientists dedicated to the mission of building healthier lives, free of diseases – will be a success. But for this to happen, we call for everyone’s collaborative effort in sharing their knowledge with the utmost encouragement and enthusiasm. Last but not least, we would like to extend our gratitude to all our sponsors. Without their support, it would have been impossible to organize this symposium with no registration fees. 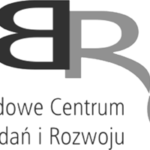 We would also not have been able to attract so many distinguished speakers without the generous and continued support of Mossakowski Medical Research Centre, The Committee on Neurobiology Polish Academy of Sciences, and National Center for Research and Development.